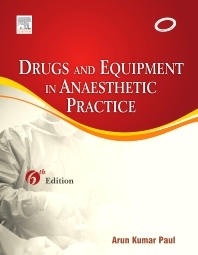 The main objective of this book is to present the fundamentals and applications of drugs and equipment in anaesthetic practice to the undergraduate medical students. This book has been divided into two sections: the first section describes the drugs and the second section describes the equipment in common use. Covers essential pharmacology and therapeutics of common drugs in current anaesthetic practice. Provides comprehensive source of information on the basics and practical uses of various anaesthetic and related equipment. Written in a simple, concise and easy-to-understand format.